SEMrush is a popular SEO tool that is used to do keyword research, track keyword positions, backlinks and competitor analysis. 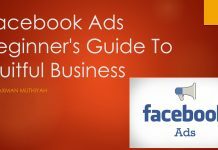 It is trusted by many professional bloggers and digital marketers around the world. Let us discover whether it is useful for us. Whenever i write a review about a product or service, i use to read articles written by others in the same topic. 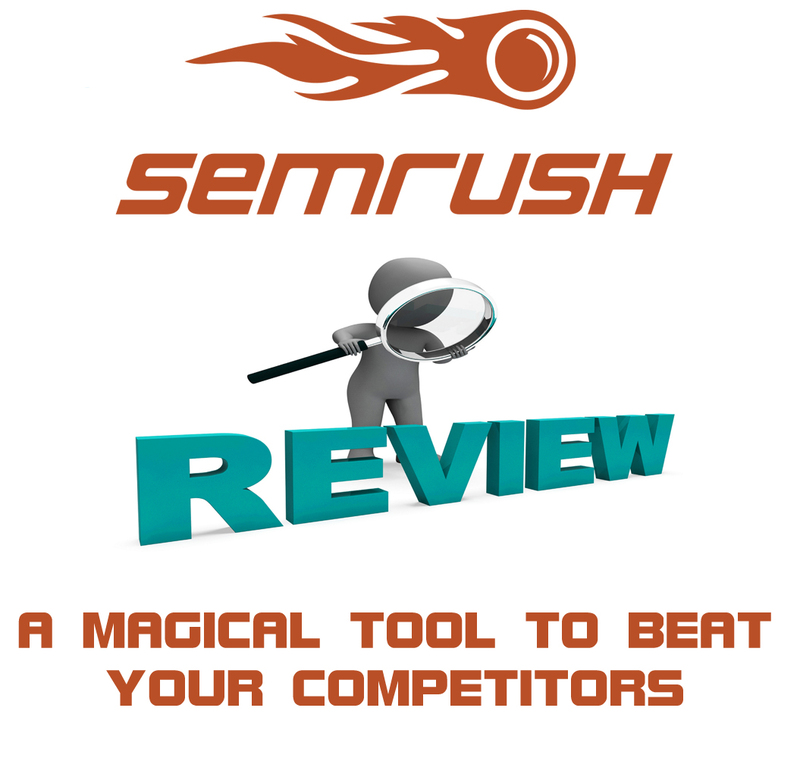 Likewise i read many reviews about SEMrush across the internet. Each and every website is claiming that SEMrush is a great tool. In fact i do not find any negative reviews. I don’t know how it is possible. It may be because of their affiliate program. Any way let us move on to the review that is personally done by me using the premium plan of SEMrush. 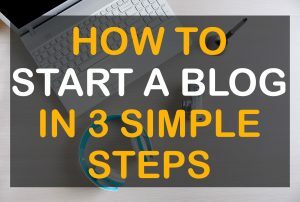 Let us take my blog as an example and test the results. 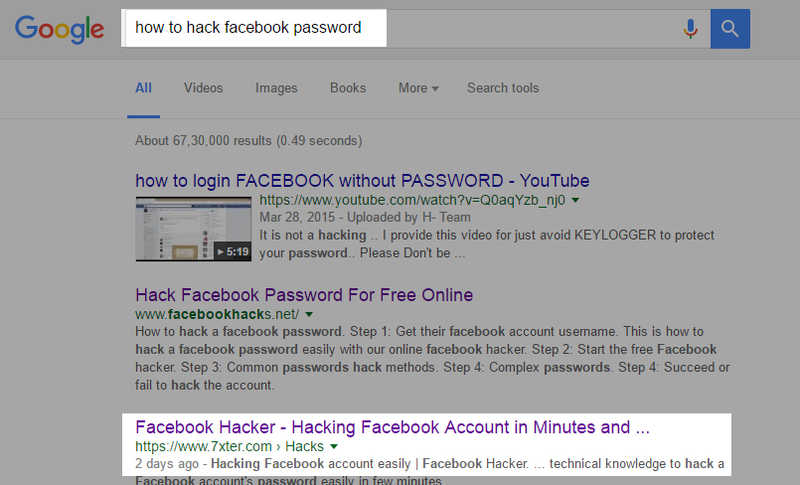 Position of our website’s page in Google search for a particular keyword. 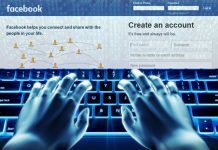 “hack facebook account” – thezerohack.com occupies second position as per SEM rush data. Check the above snapshot. SEM rush positions perfectly matches the data with Google. Let’s see one more example. 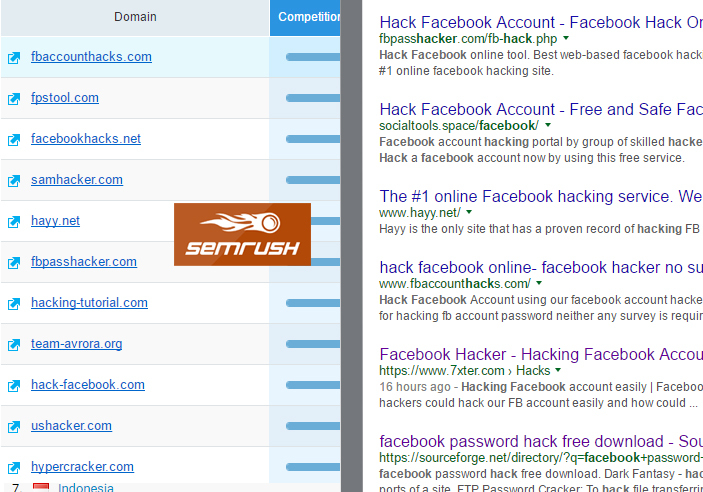 “how to hack facebook password” – Third Position in SEMrush matches the data in organic search. Cost per click is a measurement of advertisement price in search. Comparison of CPC results between SEMrush and Adwords keyword planner. Volume of searches carried out for a particular query in a month. Comparison of Volume data between SEMrush and Adwords keyword planner. Anchor texts are texts used to link a URL i.e. “Cat lovers” – linking this text to a URL, cat lovers is the anchor text here. It is one of the important factors in search engine algorithm. Anchor texts in the SEMrush dashboard and Google webmaster tools are pretty same. You can check it below. 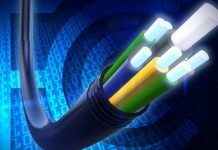 Backlinks are links from other websites that are pointing to our website. Backlinks is the most important factor and carries more weight than any other signals of search engine algorithm. 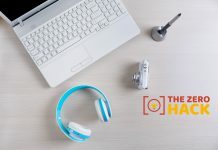 There are 170 backlinks for thezerohack.com as per SEMrush data but the truth is very different. Total backlinks found in Google WMT is 2.6K whereas SEMrush is showing only 170 of it. Check out the below comparison. SEM rush did not process multiple backlinks from same source that might be one reason. However the difference is huge, that really needs to be improved. SEM rush provides a count for organic search traffic for each geographic region. Traffic data from india is displayed in the above image. 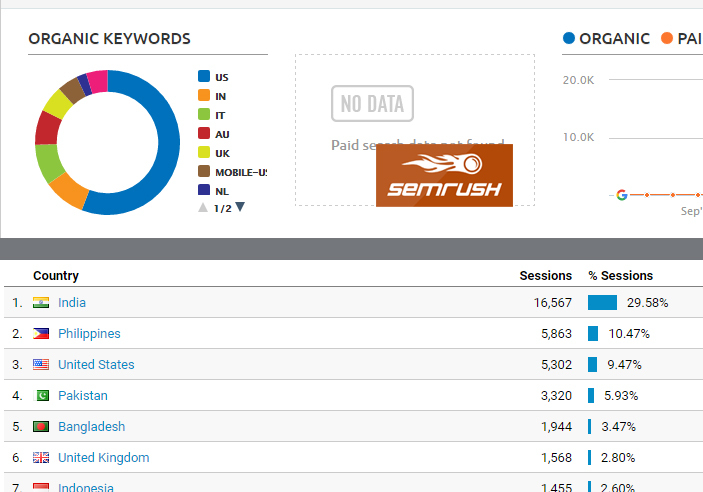 SEMrush lacking 4k visits while comparing to the Analytics data. However this is acceptable since other source of traffic is also included in Analytics traffic data. I think SEM rush should swap the Traffic from India and USA 😛 Other regions shows some accurate values. Check out the comparison of Analytics and SEMrush data below. Organic competitors are websites that ranks for keywords that are common with your website. SEMrush data accurately matches with Google search data. 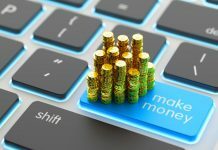 I am able to find all the competitors of my blog in their list. SEM rush site audit is useful for all of us who want to keep their pages clean without on-page SEO issues. It also gives us a percentage of website health. Primary advantages of SEM rush site audit are listed below. Other minor SEO issues can be tracked and fixed. I feel pricing is somewhat higher than their competitors. 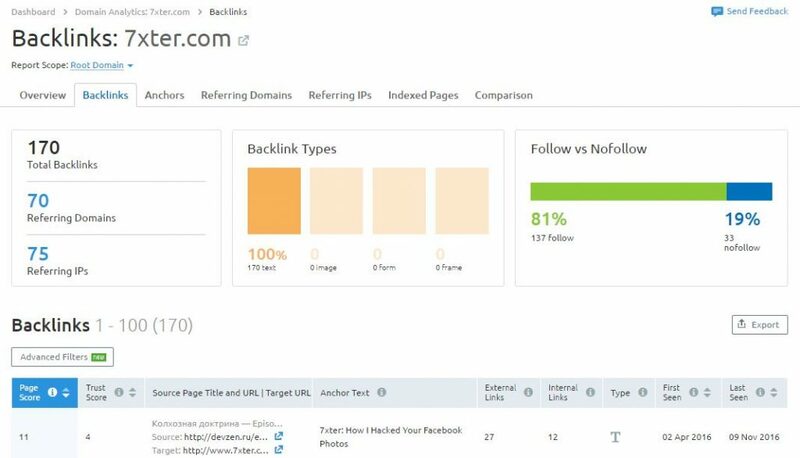 The most useful feature of SEMrush is their keywords tracker, site audit and backlink analysis tool. Keywords tracker data is not so accurate but it is still acceptable. Only Google can give better insights on keywords and its position, this much of accuracy is really enough to analyse competitors data. 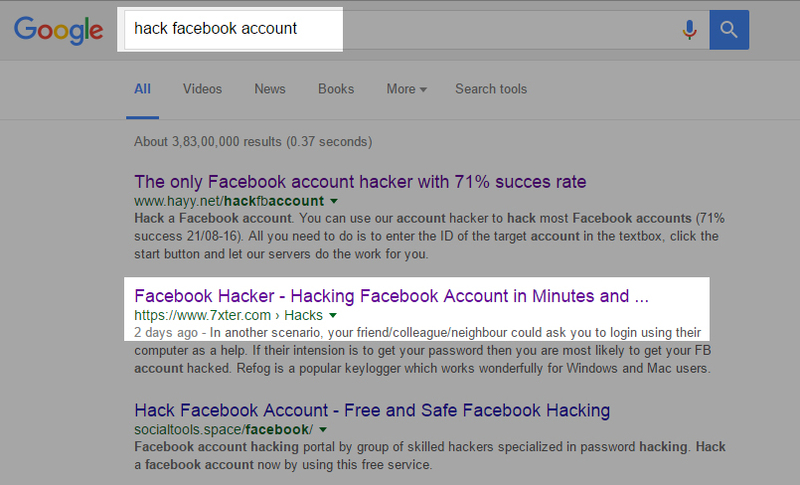 However backlinks tool is not smart enough to detect at least half of the backlinks detected by Google. This is a major drawback that SEMrush team need to focus in future. Site audit is helpful to keep our on-page SEO good. 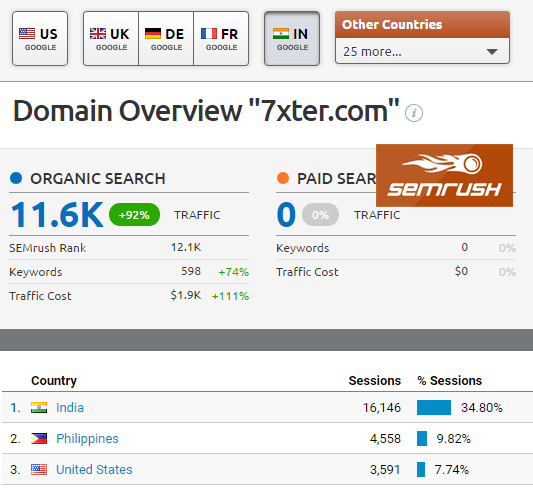 SEMrush is a good essential for all search engine marketers however it has to be improved in few places. No harm in buying their premium plan but i highly recommend all of you to try their trail version before purchasing a plan. Because it takes some time to get familiar with their tools. A appreciable SEM tool that needs some improvement.